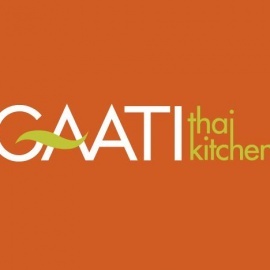 Set in a warm and inviting atmosphere, Gaati Thai Kitchen offers its patrons the highest quality customer service by our friendly and knowledgeable staff. Our dishes are inspired from all regions of Thailand, and their distinctive flavors can be found in our traditional menu, array of seasonal dishes, and our weekly chef selections. We invite you to dine in-house or to take advantage of our convenient delivery service, and hope to provide you with a memorable meal and dining experience that you will savor from start to finish.